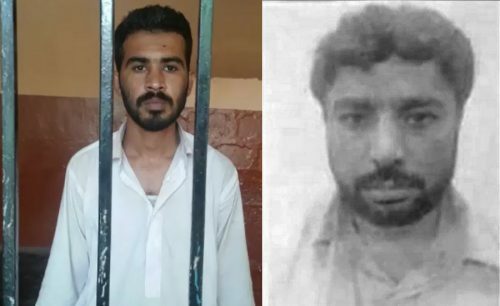 KARACHI (92 News) – Police have on Tuesday apprehended at least two wanted terrorists and recovered huge cache of weapons. As per details, Mochko police carried out a raid and detained Lyari gang war criminal namely Sharif and nephew of Rehman alias Dacoit. The law enforcers have also recovered huge cache of weapons on the information of arrested criminal from the tank of a house in Raees Goth. Seized weapons include hand grenades, rifles, smoke grenades, Kalashnikovs, hundreds of rounds. On the other hand, the Counter-Terrorism Department (CTD) arrested a peace committee gangster namely Arif alias Tutu. Arif alias Tutu was involved in the murder of a five persons including police personnel Farman Ali.